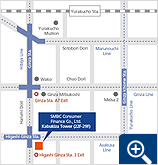 Loan Guarantee Business | Businesses | SMBC Consumer Finance Co., Ltd.
SMBC Consumer Finance engages in the loan guarantee business, building upon years of experience in credit investigation and loan management. In this business, we conduct a guarantee screening as the loan guarantee company after our partner financial institution receives the loan application when a customer submits it to a financial institution for an unsecured personal loan. 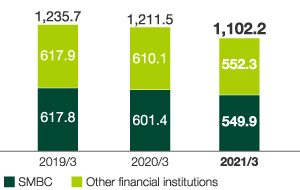 Based on the result of our guarantee screening, the financial institution provides the customer with the loan. If it becomes difficult for the customer to repay the loan, we will repay the financial institution on the behalf of the customer. 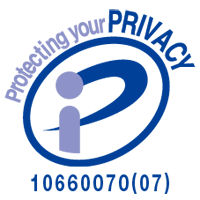 In the loan guarantee business, which commenced in April 2003, we now provide loan guarantees to financial institutions in many parts of the country after forming a loan guarantee partnership with SMBC, a Group company, in 2005. 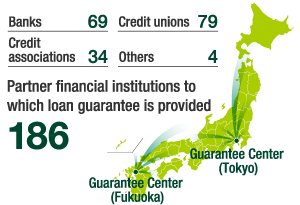 As of the end of March 2018, the number of partner financial institutions to which we provide loan guarantees reached 189, and guaranteed loans outstanding exceeded 1.2 trillion yen. 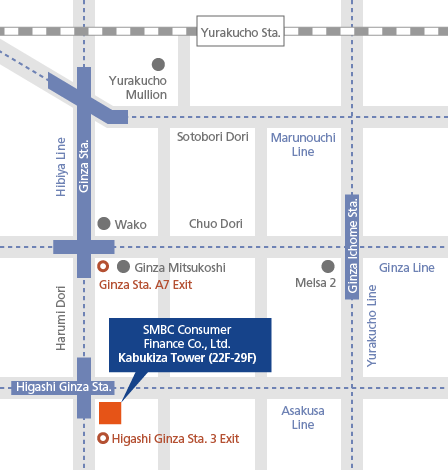 At our Guarantee Centers in Tokyo and Fukuoka, we provide guarantee screening and other services for the customers who use products guaranteed by SMBC Consumer Finance. 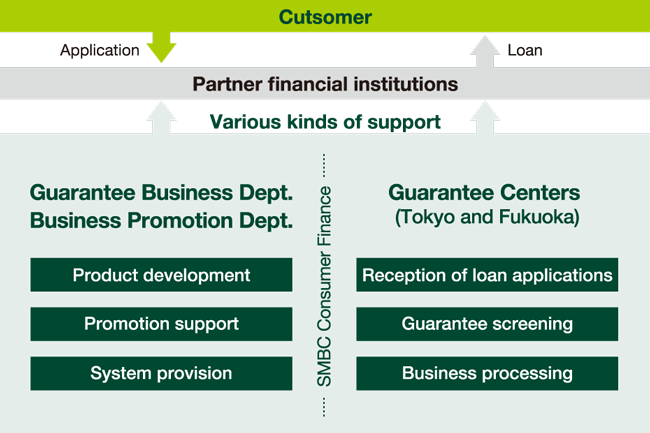 There is a great variety of product characteristics and reception channels depending on the partner financial institution, based on their understanding of these products and channels, the employees of the Guarantee Centers serve customers as contact points for guarantee screening and handle loan applications as a reception channel for certain partner financial institutions. 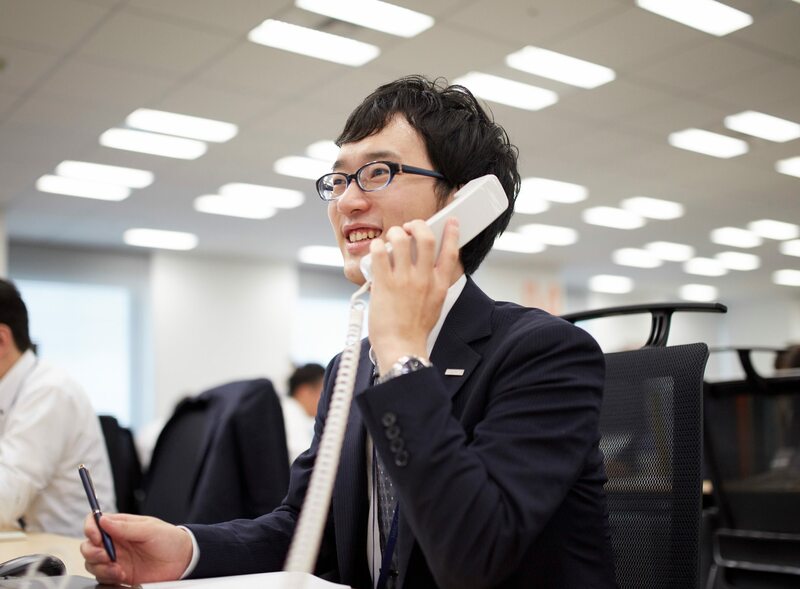 We also dispatch our employees to several financial institutions with which we have an alliance, including the SMBC Card Loan Plaza which opened in 2005, and harness our expertise to work together in running call centers by providing support for their establishment and operation. We will continue to meet a broad range of customer funding needs by developing products tailored to the characteristics and needs of our partner financial institutions, make proposals on sales promotions and other matters, and properly conduct credit investigation.